When Rachel Martin goes to work, she’s enveloped in a world of medical research. 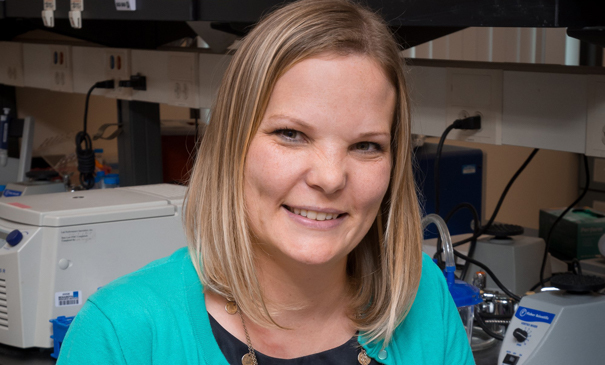 She sees the scientists at Benaroya Research Institute at Virginia Mason (BRI) use their expertise to fight autoimmune diseases like type 1 diabetes, multiple sclerosis, Crohn’s disease and allergies. As a communications and community outreach specialist for BRI, she also talks daily with people who struggle with these chronic, life-long diseases. Rachel also supports research by participating in the Healthy Volunteer Biorepository. “By providing blood samples and a health history, I can help scientists study how a healthy immune system works in comparison to one that has disease,” she notes. “The biorepository team is so friendly, they make it easy and enjoyable.” As a part of her work, she helps with community events such as the Boeing Classic, which benefits BRI, and BRI’s Illuminations Luncheon. She encourages others to become involved.